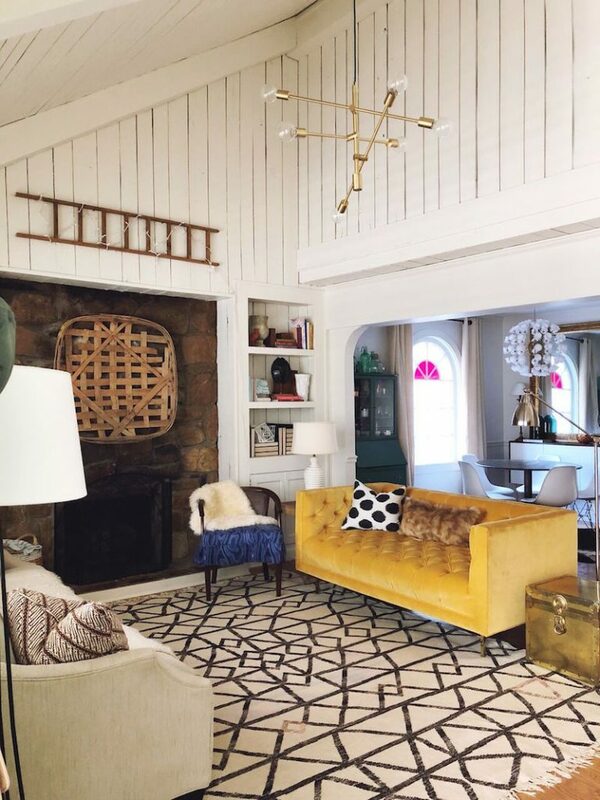 Eileen Beaver is a master of curation, from moments with her children to pieces for the homes she and her husband, Luke, renovate. One of her favorite projects? 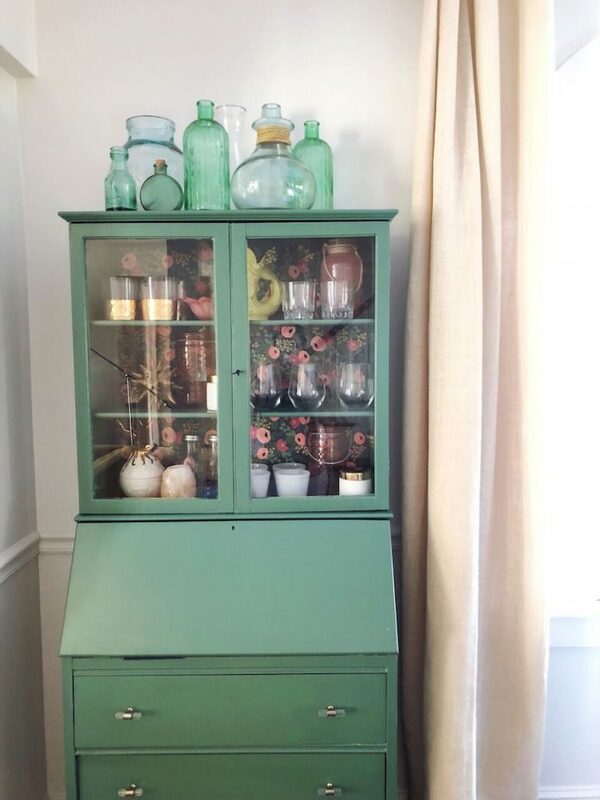 Her own refreshingly bright home, brimming with personal touches (check out the lovely silhouettes of her twins in their bedroom) and thrifted pieces with a story to add to the history Eileen and her family are building in their South Carolinian home. 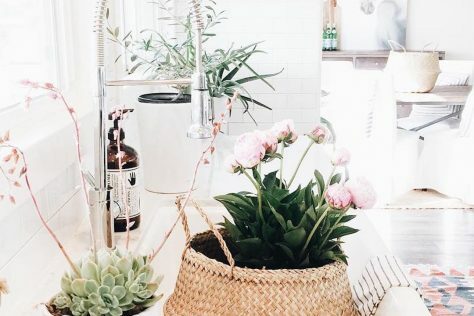 Read on for how Eileen handled going from zero to two children with the birth of her twins, her passion-project-turned-booming-side-hustle, and how she’s highlighting her daughters’ unique personalities in her home. 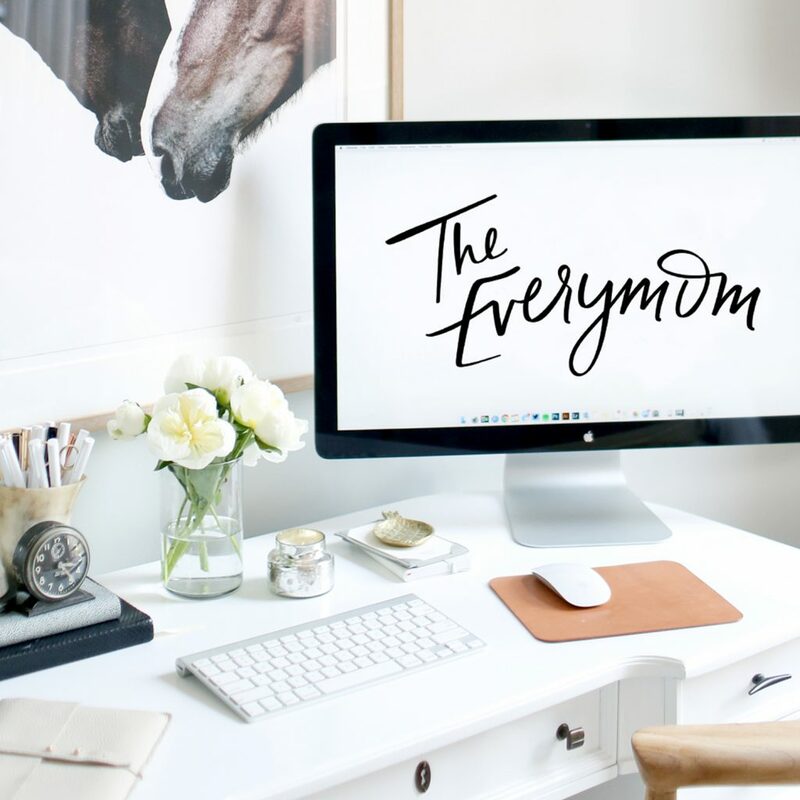 Current Title/Company: Mom, renovator, and founder of Eileen and Co. Your design blog, Eileen and Co., was started as a creative outlet. How has it affected your life? Where does your inspiration come from? Starting my design blog back in 2010 gave my creativity a focus and has made an incredible difference in my life. At that time, I had recently graduated with an architecture degree and was working for an interior design firm. I was learning so much at work and DIY and design was at the front of my mind. Starting a blog allowed me to chronicle my design growth and our house flipping journey, and through the years has opened the doors to amazing opportunities and friendships. I’m so grateful for the lessons of hard work, success, rejection, community, and inspiration it has given me. Recently I’ve used Instagram more and blogged less regularly, and the creative community on Instagram is so inspiring! My inspiration to create started when I was a child. I grew up in a very imaginative home and was encouraged to see inspiration all around me. We read lots of classic books, listened to good music, and I was always encouraged to create my own world through learning and playing. I was homeschooled, and while learning about forces in physics when I was about 10 years old we built a pulley rope system to lift ourselves up and down to our elevated playhouse. I laid tile and hardwood floors with my parents and my mom encouraged me to design by letting me redo some rooms in the house in high school. 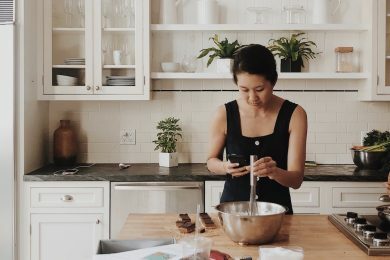 These lessons in hands-on creativity have followed me through adulthood. Looking for beauty and inspiration permeates everything I do and everywhere I go. The line that divides the ocean from the sand, geometric patterns in a parking lot, good branding, and the streetscapes of Paris all inspire me. What lessons design-wise have you learned from flipping and renovating homes with your husband? I would say two of the biggest lessons I’ve learned is that experience is the best teacher and find yourself a good mentor! I learned so much being on lots of job sites when I was working in interior design, and I’ll be forever grateful to my boss who taught me how to work with contractors, about paint color theory, and so much other practical knowledge. If you are just starting out, I highly encourage reaching out to someone who is a little further along than you in the journey and picking their brain about everything. If you are buying a house to flip, one piece of advice I have is to go to the inspection and follow the inspector around and ask tons of questions. The inspector is an unbiased judge of the project and can give you a good feeling for the honest state of the house. Budget wise, we’ve learned that after we budget how much we think it’s going to cost, we add 30%-50% more. We always end up using the extra. Another lesson we have learned flipping as a couple is to have a system on how to work together. It’s good to have a plan before you get knee-deep in the project and everyone is tired and tempers flare. My husband is an engineer, and with my degree in architecture, we are both very opinionated about how a project needs to be done. We used to have huge fights over the different ways to handle things. We have now learned that both of our systems will probably work and to designate different parts of the project to each other depending on expertise and then step back and let that person handle that area. Walk us through the renovation process of your current home in South Carolina – how did you come up with a design plan, and what were the first steps in the process? When starting the design process I always study and see what the house wants to be. This house was a 1930’s cottage that had some haphazard additions with lots of paneling, quirky built-ins, lots of windows, but not an abundance of natural light. This was not the right house to go California cool in. 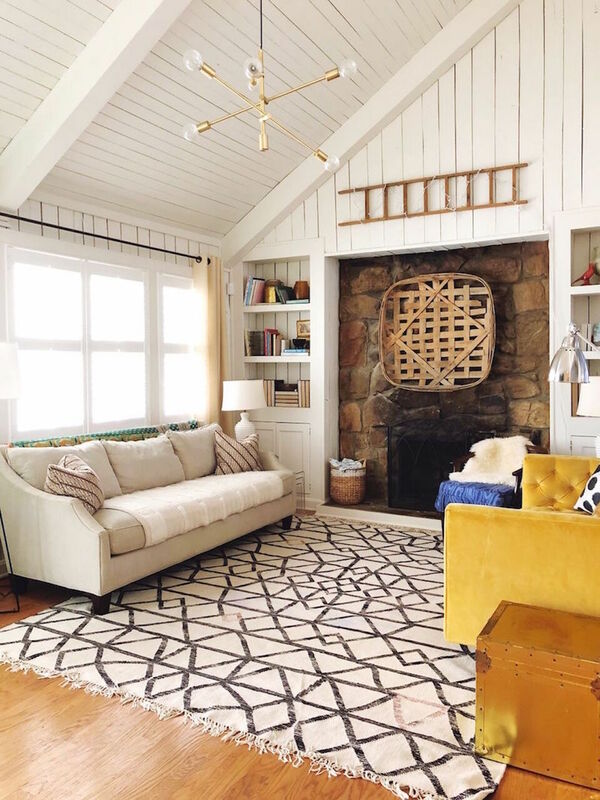 While I love that look, it would be too forced in a house with lots of barn wood paneling, low ceilings in the kitchen, and a semi-closed off floor plan. But those same elements meant that by stripping back some of the cluttered renovation features and dark paint scheme we could go modern cottage, almost European. Bringing in some modern elements and a clean paint scheme really allowed the architectural elements to show off. The low beams in the kitchen and warm butcher block countertops now feel right and reminds me of time spent in an English country kitchen. While renovating each room in your home, which ones had difficult design quirks, and how did you overcome them? One of the most interesting things about this house is that every room had design quirks. My main job has been stripping back some for simplicity and adding detail to others to make them focal points. 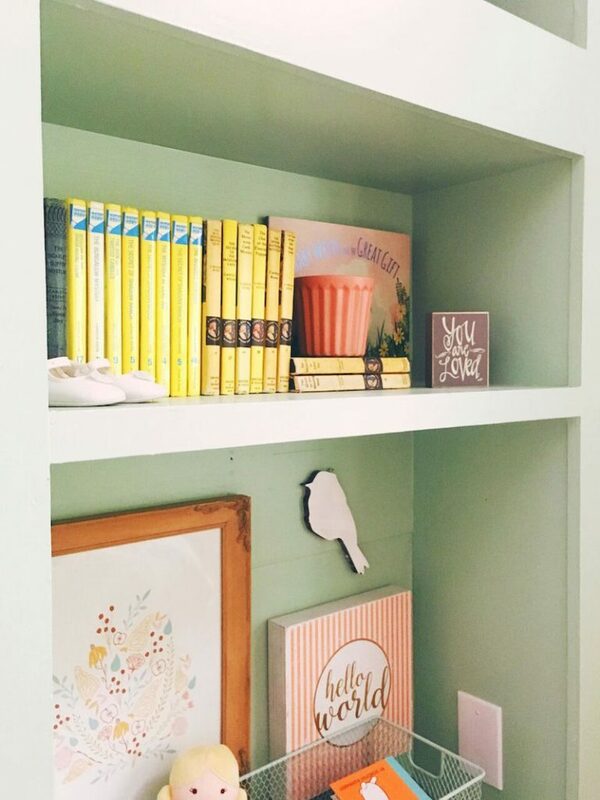 We removed some picture shelving in the master to give a more streamlined line of sight to the vaulted ceiling and then painted all the built-ins in the nursery mint green to make them special. 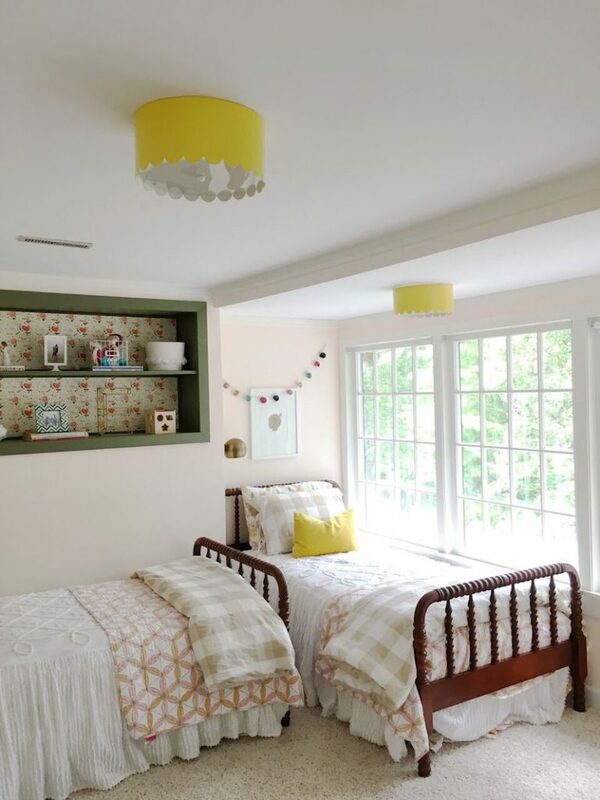 Almost every room has custom built-ins, some in random places, like a narrow built-in five feet off the ground in the nursery. We assume it was originally built as storage for bunk beds. There was an unusually thick shelf that we realized was actually a painted shut front drawer to a kids desk. We found 20-year-old crayons inside which was a fun reminder of the history of the house. 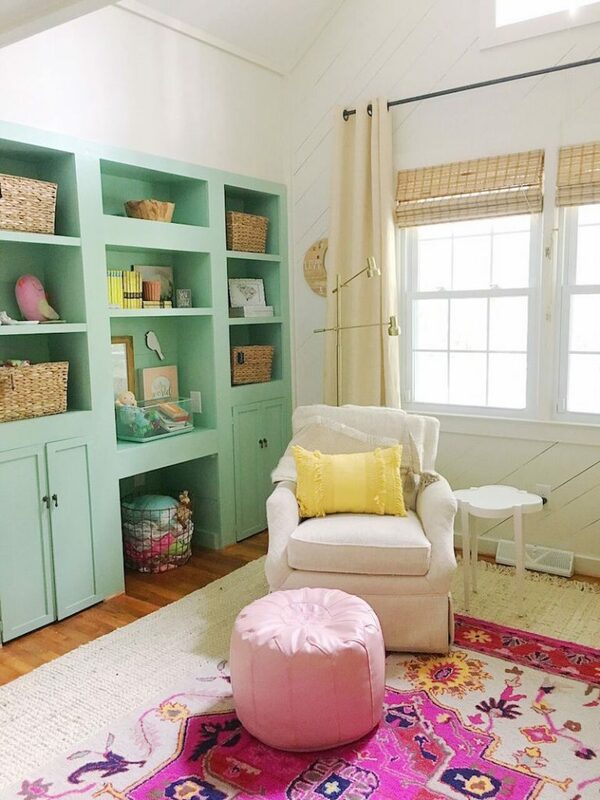 You’ve also designed a room for your 3-year-old twin daughters, Drake and Emmy, and a nursery for your 7-month-old daughter, Wren. Why were these two projects special to you, and what made each one unique? Our twin daughters were born two months early at 31 weeks via emergency c-section and then spent two months in the NICU. 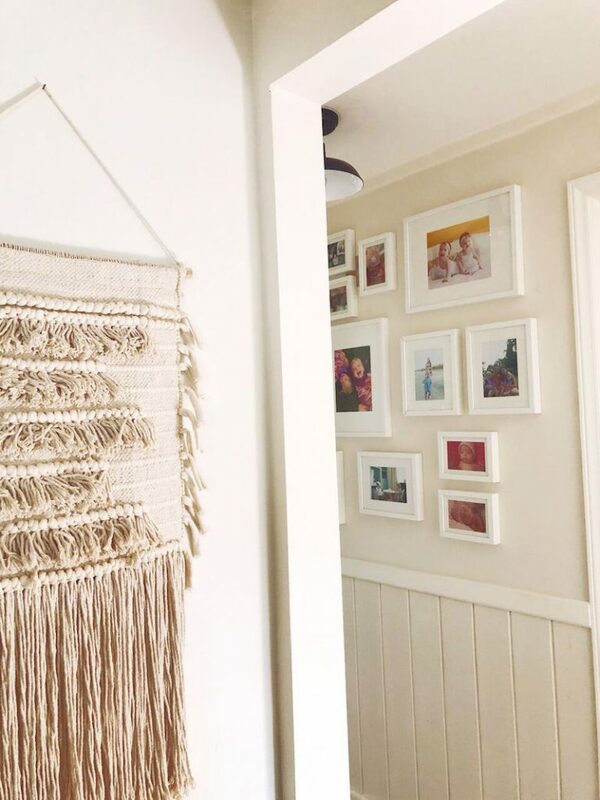 I didn’t have the nursery even close to being finished, and we were knee-deep in adding a bathroom to our old house, so every surface in our home was covered in sheetrock dust. Needless to say, the nursery design was not a huge priority at that time, which made it so special to design a big girl room for them. And being able to go full term with Wren and design her nursery and have it done before she arrived was such a redemptive process! Every time I spend time in her nursery I reflect on how grateful I am for my twin girls and also that I had a safe and more ‘normal’ pregnancy with Wren. It’s definitely more than just a room for me. How did you design a room for Drake and Emmy that reflects both of their personalities and also provides them with personal space? Having twins is the most fun! It’s interesting because while I feel parenting them to their separate personalities is so important, I don’t feel like they need ‘personal space’ in the same way that I did growing up with my siblings. They have been together since the womb and feel off when the other twin is gone. If one gets up in the morning before the other they are constantly asking for each other, and the first thing the late sleeper asks for is the other. A lot of times if I don’t understand what one twin is saying the other will translate for me! In designing a room, I wanted to give them the stability of their twin’s presence but also give them a restful place of their own. To do that I worked on making a special bed area for each of them. We mounted sconces next to the beds for reading and filled the beds with lots of cozy blankets. 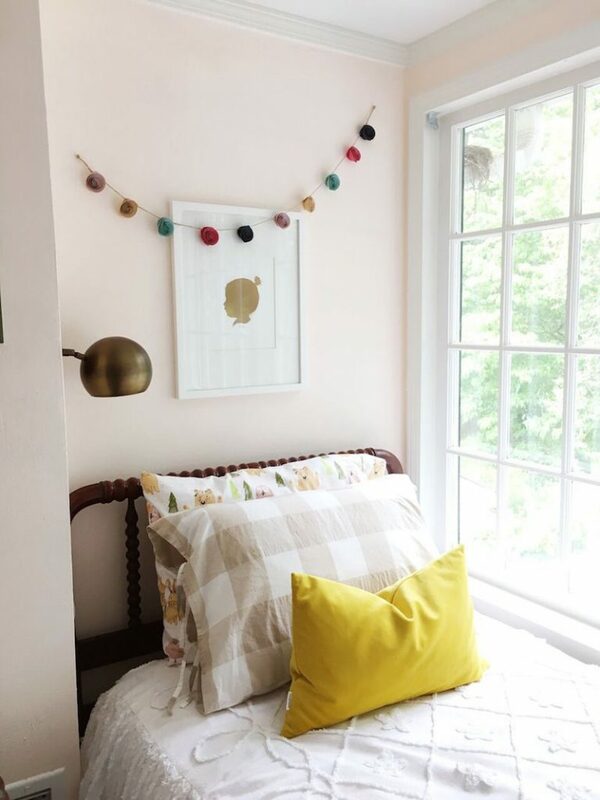 I got their sweet little 2-year-old silhouettes done by Dapper and Darling and framed them over their headboards. It gives them a space all their own that they can always go to. The playroom is right off their bedroom, and we plan on that being an extension of their room with a sleeper sofa so they can have some private space if needed as they grow. Are there any surprising challenges that come with siblings sharing a room? The twins are a pretty formidable force when together. 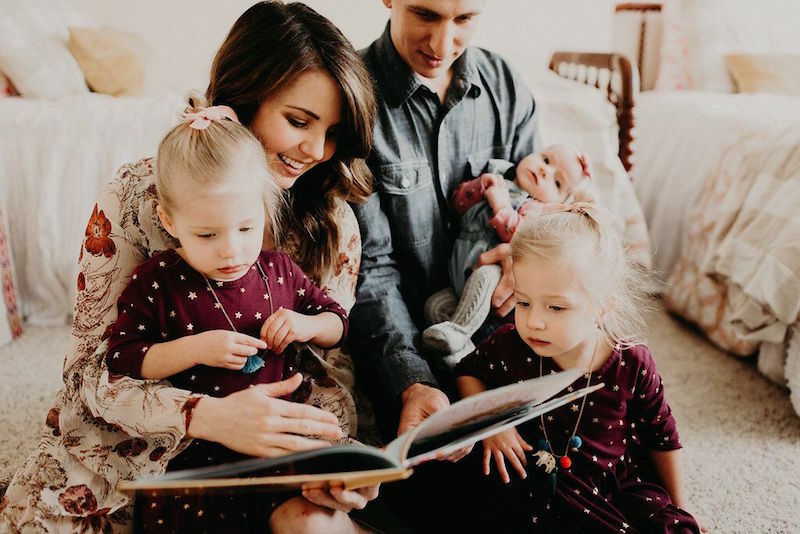 We can see them on the baby monitor working to unscrew their sconces out of the wall and they routinely scale their built-ins and get stuck up at the ceiling together. Have you seen those Youtube videos of the twins playing and dismantling their room after bedtime for hours? That’s accurate. Right now we even have one of them sleeping in the playroom right next to their room because the 10:30 p.m. parties were getting too frequent. With Drake and Emmy’s old nursery as Wren’s current one, what did you keep and change from the original space to make it personal for Wren? With twins attracting so much attention, I wanted to make sure Wren didn’t feel like she was just living in her sisters’ shadows. 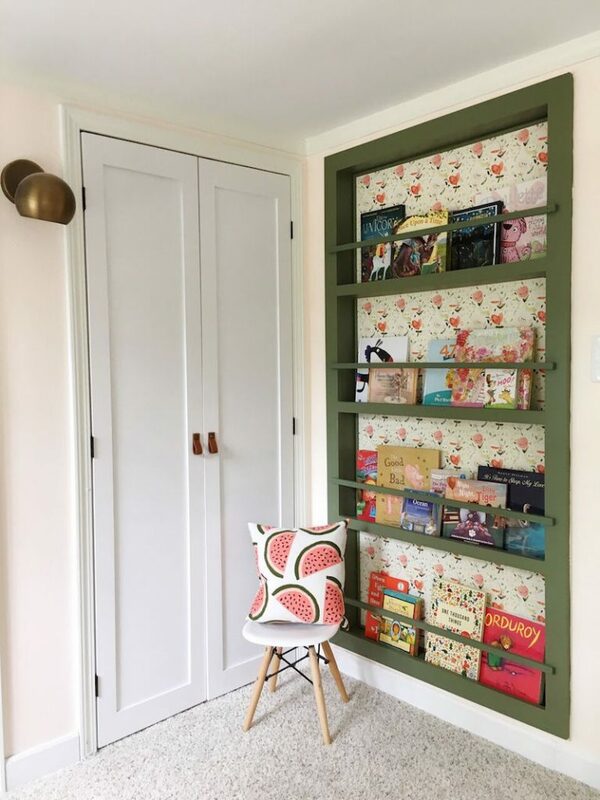 I wanted the space to feel special for her but I still loved the mint built-ins and wall color, so I kept those and added in lots of pattern and color specifically for her. Ever since I was pregnant with Wren I just felt like she would be our sunshine baby, and she is. We painted one of the twins’ crib bright yellow and layered a rug with lots of color over the existing jute rug. I added lots of new accessories and happy art pieces and the room just fits our sunshine baby now. What do you believe are the most important considerations when designing a nursery? I always start with how I want the room to feel and what existing or special pieces I want to work with. Do you have a family heirloom chest you want to include? Or a dream chandelier or piece of art? Start there. 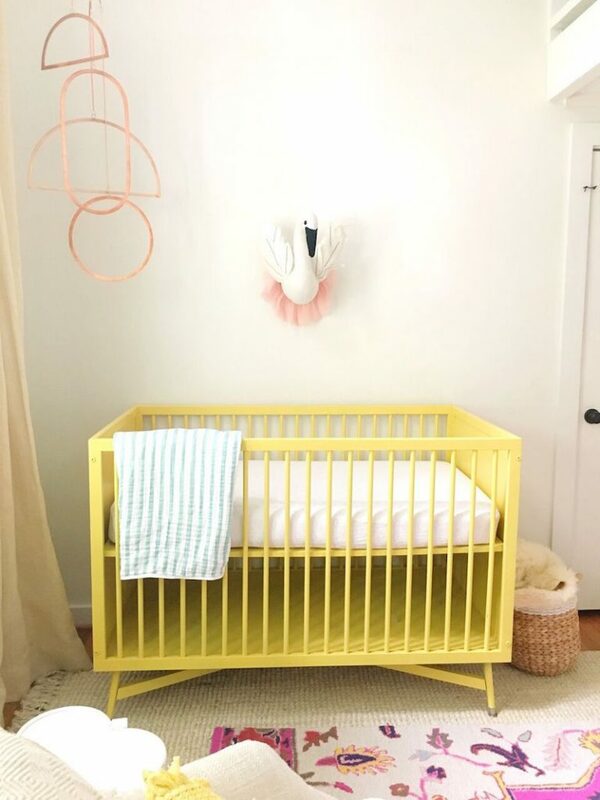 I knew I wanted a yellow crib with Wren and wanted to keep the mint built-ins, so that was my starting point. Also, keep in mind that you will spend lots of time in your nursery in the middle of the night, so function is key. 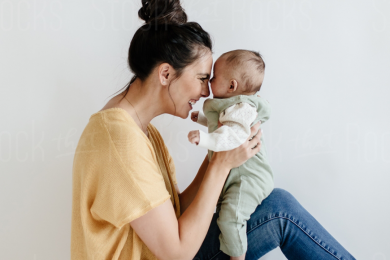 A cute nightlight makes it a little easier to change the baby while keeping the room dim at 2 a.m. Make sure you have a comfortable rocker and side table for your water and phone for those middle of the night feedings. 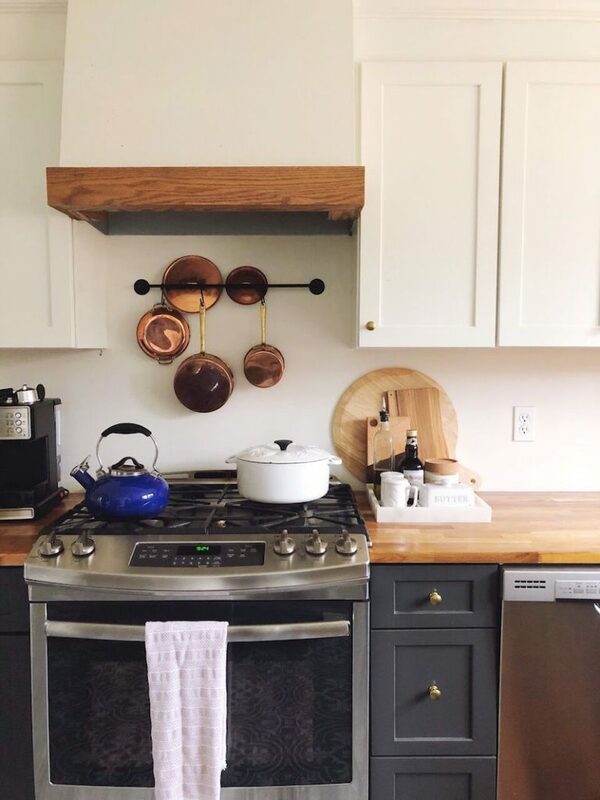 What was your trick to renovating your kitchen on a budget, and what tips do you have for people who are also looking to upgrade a space at a lower cost? We renovated our entire kitchen ourselves for $7,000, including appliances. We were able to keep the existing maple cabinets but painted them, which helped a lot with cost. We did take down one wall to create a peninsula that I designed to match the current cabinet fronts. My father in law, who is a talented furniture builder, built it for us. 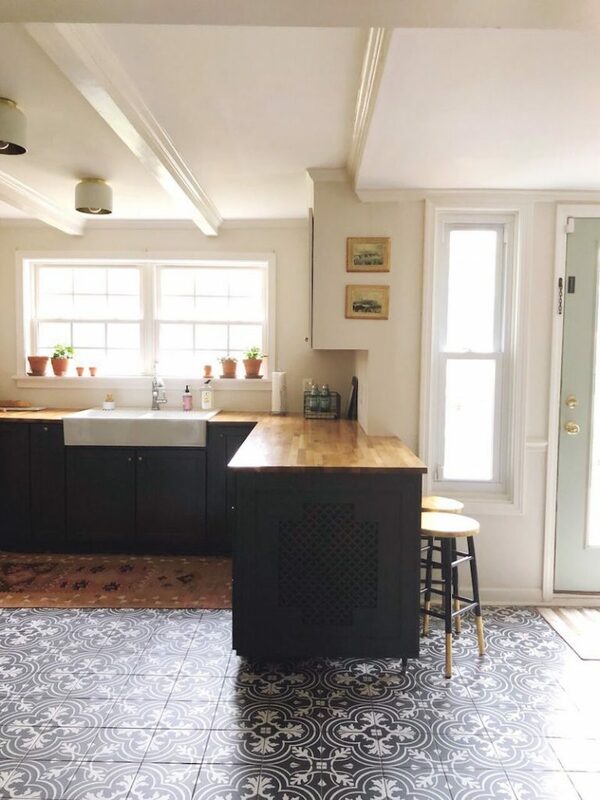 We went with patterned tile from Home Depot — which is a more budget-friendly version of cement tile — and laid it ourselves. With all the graphic pattern on the floor I wanted to add some warmth and also tie back into the modern cottage feel, so we went with Ikea butcher block counters which also helped save on cost. I know patterned tile is having a moment, but it’s such a classic material. Have you ever watched shows touring old houses in Europe? Patterned tile is everywhere! 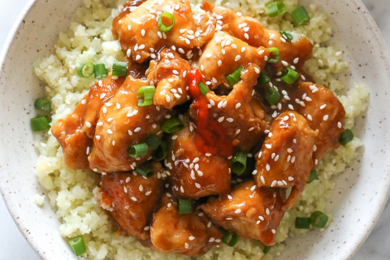 One of my best tips is to spend lots and lots of time on Pinterest. 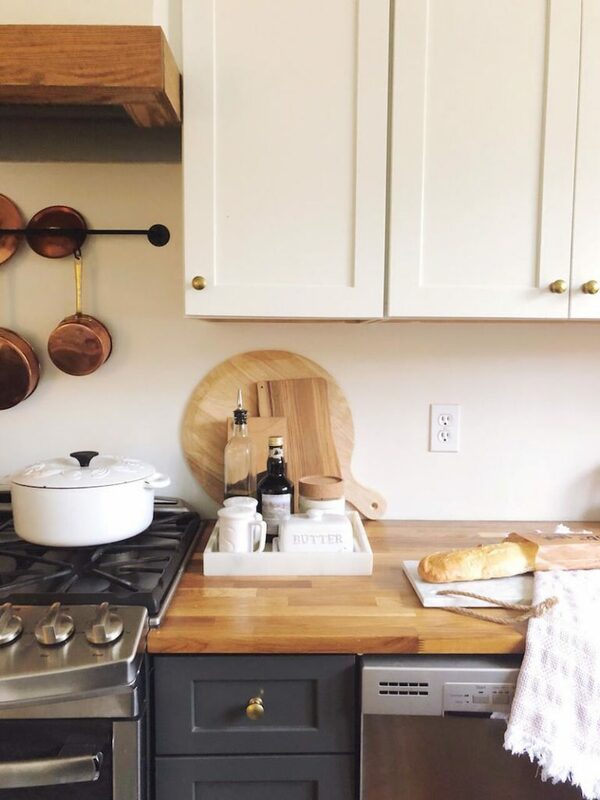 I found some high-end kitchens I loved and spent a lot of time researching how to achieve that look on my budget. I looked at the high-end patterned tile and then looked for hours for lower cost versions, DIY versions, or other options. I found others who had installed Ikea countertops and then read all their reviews and thoughts before we sealed ours. I’m also big into paint and color theory. The right paint color makes all the difference in how your room feels, and we all know how many shades of white there are! 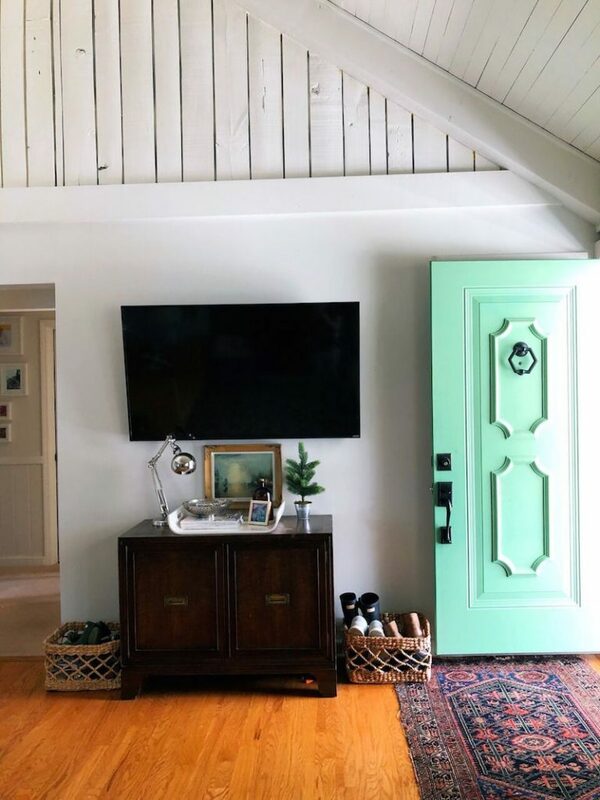 When I like a paint color, I search the name of that color on Pinterest and see how it looks in different rooms to get an idea of how it will feel in my room. Then, I paint samples in different spots and look at them for a few days to see how they read throughout the day as the light changes. 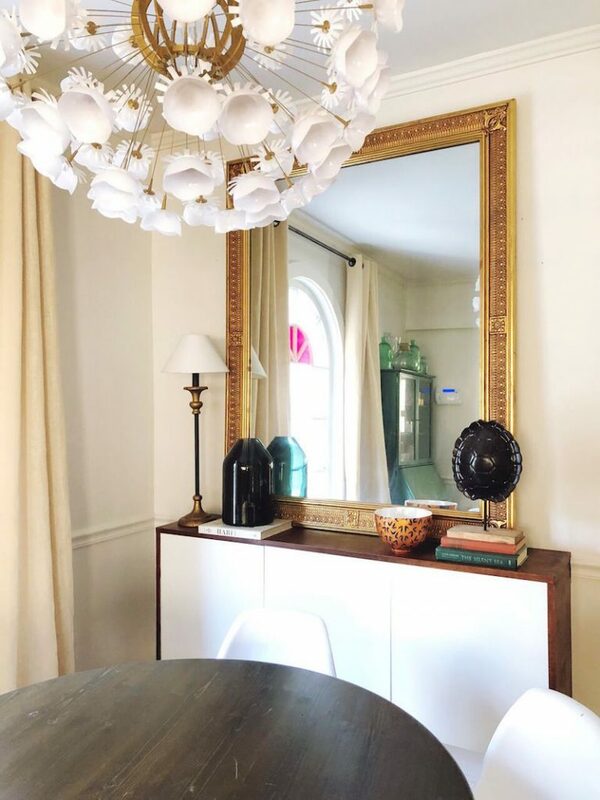 I always look for pieces that speak to me, and I’ve found favorites in vintage stores, Home Goods, designer shops, and my backyard. I don’t worry as much about the label as how the piece makes me feel, because I love something with a story. To that end, I always save room in my suitcase when we travel to pick up a decor item, and I love buying design magazines from the places we visit. I think a room always needs a vintage wood piece to ground it and give some history. 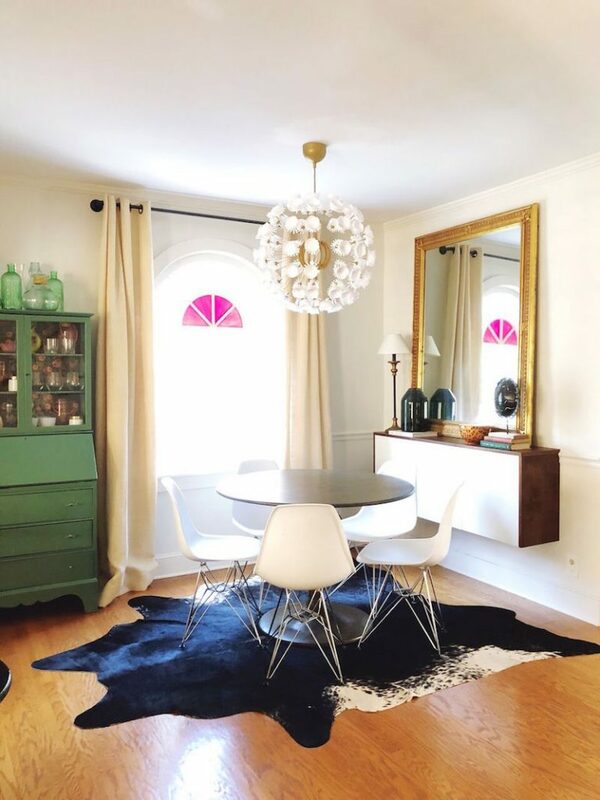 RugsUSA is my favorite source for new rugs and Ebay for vintage. On eBay, I always search for ‘vintage kilim rug’ and there are lots of great options. Jenny from Little Green Notebook is the queen of DIY and has a great affordable art shop; I have my eye on a couple of prints. I always want my home to feel accessible and comfortable. I want people to walk in and feel welcome, and that extends to my family. I really love our two sofas that are facing each other in my living room because I think that the layout works so well with kids while cuddling and watching movies. 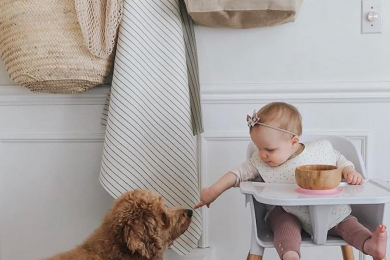 From a young age, we have taught our girls to take care of things, especially in our family’s shared space. To help them with that, I don’t leave glass and breakables out at a low reach, and I bolt tall pieces of furniture to the wall so they can’t topple. Less stressful for me and them! I used a wipeable low sheen paint all through our house which makes cleaning up sticky fingers a breeze. Baby wipes work so well to clean smudges off walls, cabinets, and floors, and I always have lots of those lying around. I usually leave a throw blanket tucked in on our cream bench cushion sofa so any spills or stains can go right in the wash. It’s even easier to wash a throw blanket than a slipcover! When it comes to the functionality of your home, is every room a space for your kids to play in or are there designated play areas? I feel like I am constantly refining how our house works for us! As the girls grow and change, I try to continually identify pain points and address them. The twin’s playroom and their bedroom is their space, and I try to let them have lots of freedom in those spaces while teaching them to respect our family’s common spaces. Each common room has a designated area for the girls’ things so they know where their toys go. I keep baskets in the living room for their toys, a chest in the dining room for art things, and puzzles in the kitchen. That way the girls can go to different stations throughout the day and find their things. The variety keeps them excited. 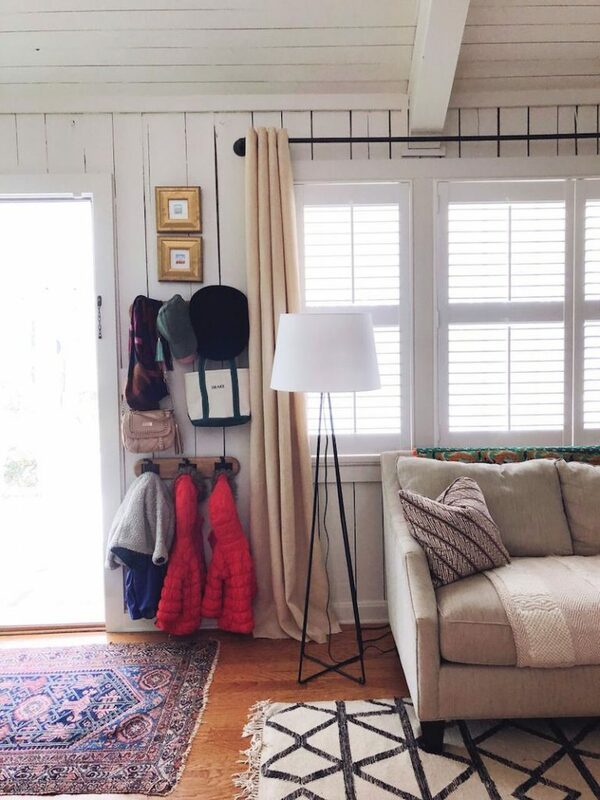 How do you keep your home as tidy as possible while raising kids? After a lot of trial and error, I feel like we finally found a system that works for our family. 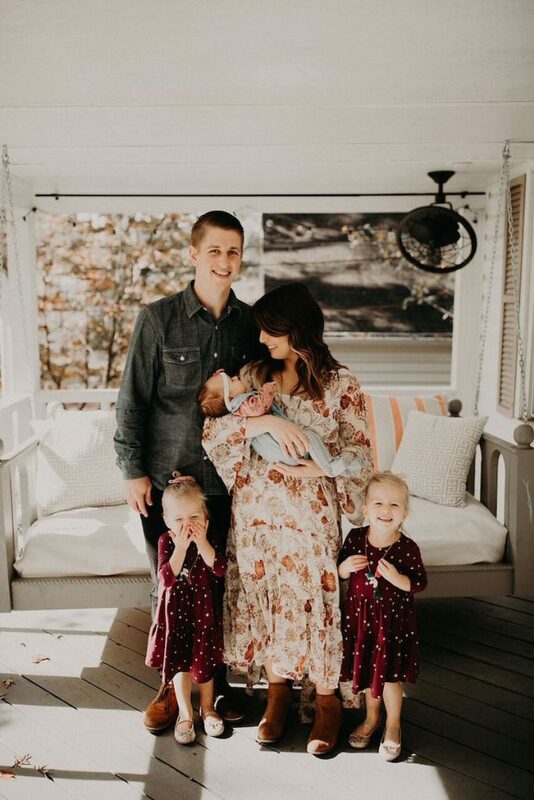 Last fall was overwhelming for lots of reasons – adding Wren to the family and preschool for the girls. My husband and I felt that we were staying up until 10 every night cleaning the house! We sat down over Christmas and wrote down things that were stressing us out and came up with a schedule to help, and it is really working for us. With having different stations for the twin’s toys in our shared spaces, we really work throughout the day to clean up one area before we go to the next, the playroom and twins room being the exception. Instead of constantly cleaning that space all day, we clean it once after bath time before bed. Around 5 p.m, I do a quick sweep of the house and straighten so we go into dinner time with a relatively straight house. We try to clean the kitchen as we are still making dinner so when we sit down to eat there are just a few dishes left and a wipe down to do. My husband and I do a final straighten every night before we go to bed. This makes the biggest difference for me! Waking up in the morning with a clean house helps me feel refreshed to start the day. How did the experience of Drake and Emmy being born two months early and spending their first two months in the NICU change your view on motherhood? It changed everything. I didn’t think I could handle anything that difficult. Now I realize that the real strength of mothers comes from not knowing if you could do it. What mom hasn’t been super sick herself and still taken care of her family? You just do it. I had an abruption at 31 weeks and lost crazy amounts of blood and then had an emergency c-section later that day. The twins were born at 3lbs, 5oz each, and I only got to see them for a second before they were whisked off to the NICU. I didn’t get to visit them for another 24 hours. I had to leave the hospital without my babies. I had to learn to pump and get back up to the hospital every day and watch my babies struggle to breathe while recovering from a c-section. It was heartbreaking on so many levels. But the positives were there. We had the best team of NICU nurses and doctors who took care of our babies and became family. They taught me how to properly change and feed the girls, called when they weren’t on shift to check on me and still keep up with us now. I could sleep well at night knowing they were being constantly monitored. That life and death experience gives me a perspective of gratitude that I don’t think I would have otherwise. The miracle of life is front and center for me each day as I watch my babies grow and thrive. That gratitude shapes my whole view of motherhood, it helps me keep perspective when they drive me crazy like only kids can do. It’s a good perspective to have. During their newborn years, how did you manage Drake and Emmy’s sleeping and feeding schedule? Keeping the twins on a schedule was so important for us! They were already used to being on a schedule in the NICU and we continued that at home. With two babies at once, the only way I could stay sane was to know what to expect for the day. 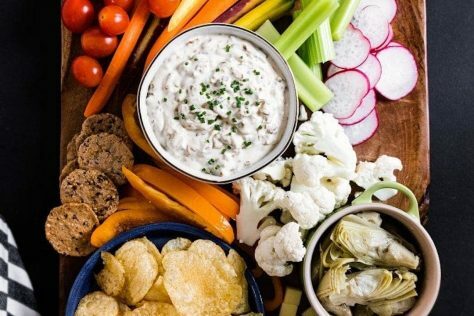 We worked with our pediatrician on how many times they had to eat a day and did a very loose version of Babywise that followed what they were used to in the NICU. Sleep is very important to our family so we worked hard to teach the girls to sleep well. We sacrificed to make that happen by sticking with a schedule so the girls knew exactly what to expect. We skipped lots of dinners out and parties to stick to our schedule and, for us, the sacrifice was worth it. 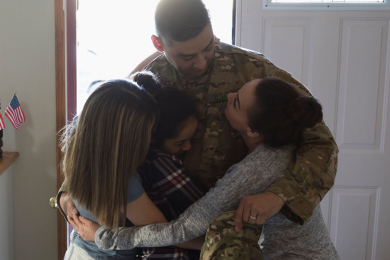 Other families won’t have the same goals as we do and that’s fine. 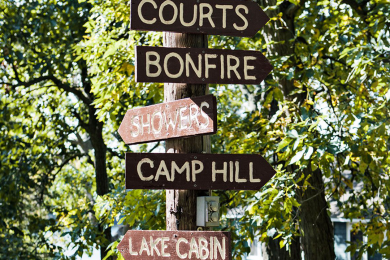 I don’t feel like my way was the ‘right’ way, just what worked for us and allowed us to pursue our family goals. 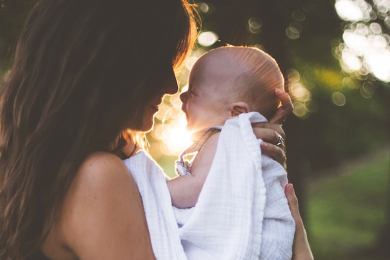 And honestly most of the time I didn’t feel like I knew what I was doing at all and isn’t that what motherhood really is? Kids will keep you humble. 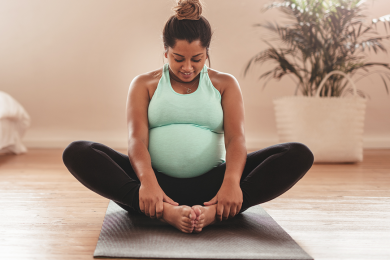 What was your reaction when you found out you were pregnant with twins, and what were the differences in your twin pregnancy to your singleton pregnancy? Twins were a HUGE surprise, and I was initially equal parts shocked, terrified, and excited. But I had always wanted twins, so once I got over the shock, I was thrilled even though I had no idea how to take care of two babies at once. While pregnant, I had nightmares about switching them up in the hospital and then they would go their whole lives being called by the wrong name. After that dream, I got on Amazon and ordered kid’s nail polish so I could paint one of their nails so we would know which one was which. I tried not to Google anything because I knew I had to protect myself from horror stories of twin pregnancies since I knew there was a real chance of something going wrong being high risk. I was plagued with morning sickness, never being able to eat enough, shortness of breath, and exhaustion for most of my pregnancy. Looking back, it was a blessing because I was so focused on how bad I felt I couldn’t focus on how scared I was that something would go wrong. When I got pregnant with Wren, I thought it would be an easier pregnancy since it was only one baby. I was wrong. The morning sickness was worse, and I had to chase two toddlers around as well. I jokingly say that I only felt ‘good’ for two days this pregnancy. But seriously, it’s true. Once she was born, though, I totally forgot how bad it was and would do it all again for her. Isn’t that always how it goes? 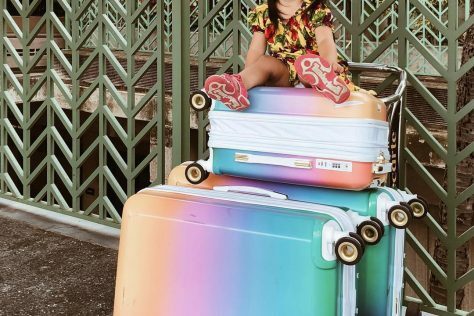 What’s your opinion on buying for twins – what products do you invest in and what do you buy two of? There are some things you have to have two of like car seats and cribs and things like that and others that aren’t necessary. We didn’t buy two of every toy, so even early on the girls were learning to share. A good double stroller is a necessity, I swear by our Kinderwagon. It’s about the same size as a single stroller and so lightweight. I can’t tell you how many times I’ve been stopped and asked about that stroller – it really is the best. I’ve used a lot of different kinds of wraps, ring slings, and carriers, and my favorite is definitely the Tula. My husband and I just went to France for a week and took Wren and used the Tula exclusively while we were abroad and loved it. How are you encouraging differences in Drake and Emmy in order to help them create their own separate identities? 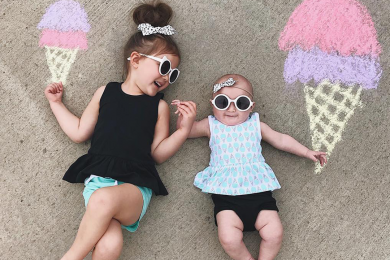 Even though they are identical twins, their personalities have been so different since they were born, and we try to parent to encourage that. We try to get one on one time as much as possible with our girls, even just running out to the grocery store or Home Depot becomes a date. I love getting that individual time; they talk my ears off with all their little thoughts, and I pray that never stops. I hope they always have the strength of support from their twin being around but the courage to step out and pursue their own interests. We certainly are going to try to support that. 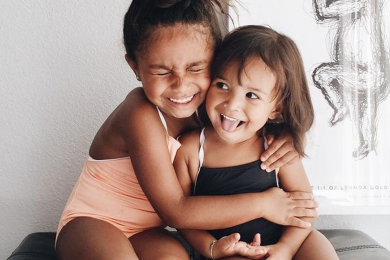 How did you get Drake and Emmy excited for the arrival of Wren and how are you helping them adjust to their roles as big sisters? Having twins first is a unique experience. The twins were already used to sharing me as their mom and having each other as siblings so we didn’t have any jealousy issues. They have been obsessed with Wren since she was born and constantly say, “my baby sissy loves me so much!” It’s the cutest. To help them adjust to their roles as big sisters, I have always tried to give them a lot of ownership in Wren. She is ‘our baby,’ and I am constantly pointing out the importance of their relationship with her. When she smiles at them I tell the girls how much she loves them. When they help calm her down when she is fussing by dancing or singing for her we celebrate how much she looks up to them and what amazing big sisters they are. 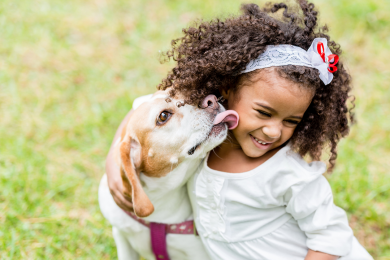 What can a parent do to encourage strong sibling bonds from a young age? Twins are born with such a strong bond I haven’t had to do much to make them close, but as Wren grows, this will be something I am working on. To encourage their bond, I have always tried to let the twins figure out as much as they can on their own without me; this includes the little arguments they have. I’ll step in if someone is getting their hair pulled but otherwise I try to let them work it out. I have also tried to encourage independent play together where they didn’t need me involved since they were little. At first, this was just five minutes when I would leave them together to play where I could see them but they couldn’t see me and worked to longer times as they were ready. Have there been any unexpected challenges in transitioning from two kids to three? Overall, the transition from two to three kids has been so much easier than the transition of zero to two kids. A challenge that we are anticipating with our third is making sure that Wren doesn’t get overshadowed. With twins attracting so much attention everywhere we go I want to make sure I am aware of Wren’s feelings and working to parent so she feels just as important. How do you make time for your own self-care and what does it consist of? For me, self-care consists of finding my identity outside of being a mom. It’s a huge part of my life and I value it, but, I don’t think it’s healthy for me or the girls to wrap up my entire self in them. I want the girls to grow up knowing their own needs and gifts are important and valued, and to believe that, they need to see me modeling it. I spend time working on design projects, whether that is renovation planning, furniture design, painting, or blogging. 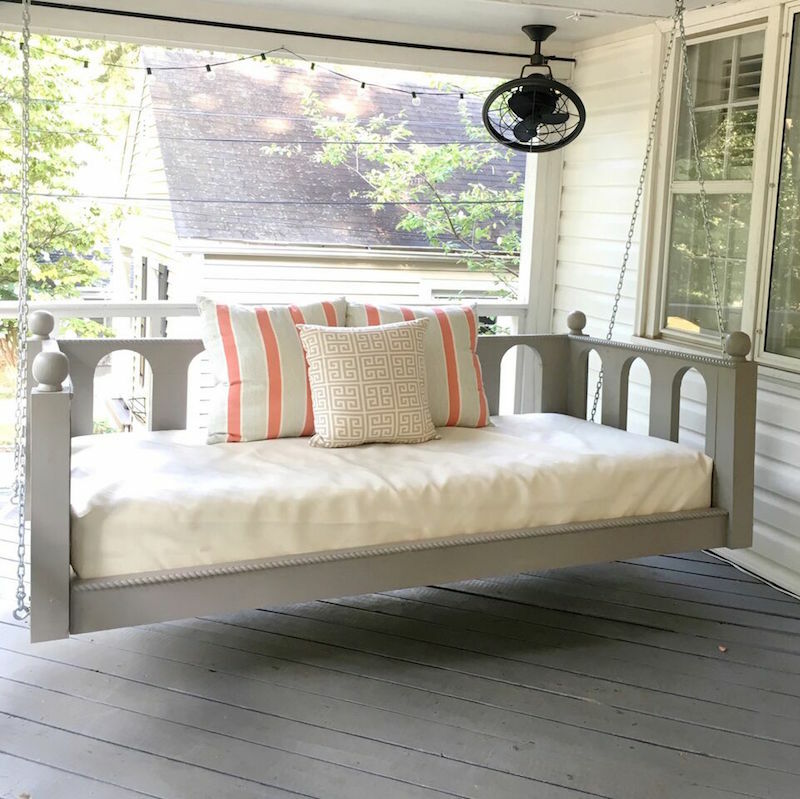 We build porch bed swings that I design and sell locally. I want the girls to see me doing something I love, and I always try to include them. Community and nights out mean a lot to me, and I’m so grateful for my girlfriends. Putting some effort into getting dressed most days makes a big difference in how I feel. Of course, some days are pajamas-all-day, but I feel better if I get dressed. My faith plays a huge part in my mental health, and I make sure I am consistently setting aside time to read my Bible and pray. It helps me keep perspective of the importance of what I am doing and looking past the sixth dirty diaper I have changed that morning. Viewing God as the ultimate artist gives me such inspiration in the little ways I get to create in my life. Being surrounded by the sun and growing things restores my soul, so I try to spend time outside every day and keep active going on walks and hikes with the girls. My husband is a very hands-on dad, and I’m very grateful to him for our partnership in parenting. We are both very involved in the day to day decisions regarding the girls, although we try to play to each other’s strengths. I’m the meal planner, and he is the bathroom cleaner. I wash and fold the laundry, and he puts it away. He does bedtime with the girls to make sure he gets focused time with them and to give me a break. He travels internationally a lot for work but when he is home he is flexible so he can be present at dance classes and preschool. He takes his role as a father of girls very seriously and works hard to build each of the girls up. We have worked hard at becoming a good team, and if we feel something getting ‘off’ we take that seriously and spend time working through the issues. A good marriage doesn’t happen by accident and we are very aware of the weight of what we are doing. When it comes to being a mom, what are you most insecure about, and what are you most confident about? One of my biggest insecurities as a mother is being worried that I won’t show enough love to my children in the way that their different personalities feel love. I want so desperately to love my girls in a way that fills their emotional needs and I worry I’m not reaching them enough or that one feels more connected to me than the other. That’s one reason why I’m so aware of parenting to each child individually. I’m most confident as a mother in the belief that there is no way to be a perfect parent but a lot of ways to be a good one and that my girls were put in my family for a reason. My goal is that as they grow they always feel seen and valued and have a mom who is willing to admit when I mess up and try again. I try to give myself and my girls lots of grace, and I don’t really put stock in anything or anyone telling me that there is only one way to do something. Something that works for us today may not work next year, and that is okay. Each family is different and unique and has different goals and I love the freedom that gives us for creativity and change. The beach is my favorite place because I grew up in a coastal town. There is something magical about the sand and the sea. My favorite days end with salty hair and a little sun. My family still vacations at the beach every year in the same place where my grandparents starting going when my mom was little. Introducing the girls to Hilton Head Island and seeing their excitement doing the same things I did when I was little is a pinch-me moment. Every year at the beach has been fun, but, the twins were three this past year, and it was the best yet. They were old enough to understand how fun the pool and the beach are, and we spent all day playing. Drake even fell asleep and took a nap in my arms poolside (which they never do anymore), and I’ll remember it forever. 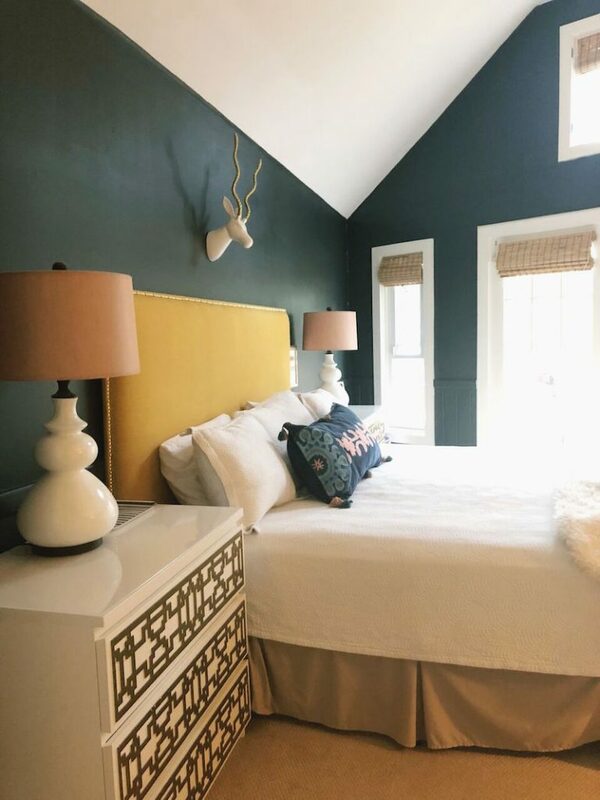 Moody paint colors and trim painted the same color as the walls. Feels so Downton Abbey and I love it. Renovation project you’re most proud of? A tie between the twins big girl room in this house and the two bathrooms we redid in our old house. I still miss the soaking tub. The living room. It just works so well for our family. I still have some twinkle lights up on a ladder from Christmas and I love the cozy vibe they add. I can’t get away with this anymore since the twins are so verbal now but there were definitely times when someone came up and asked me which twin was which and I named the wrong one but then didn’t want to admit it so I just went with it.